Our Optics Cleaning Kit works well for optics made from glass, and is suitable for use with most optical coatings including anti-reflection coatings. We recommend the kit for all of our customers who purchase our astronomy filters, dichroic beamsplitters, mirrors, prisms, or lenses. 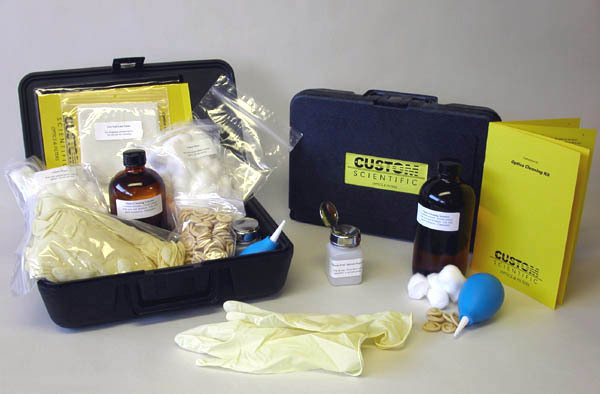 The Kit can be used with plastic optics also, however, a different solvent must be used. Contact us and we can discuss your options. The Optics Cleaning Kit is in stock. Contact us to place your order.